A mechanical problem with the flow of urine from the bladder or kidney. High Prograf or Cyclosporine level. A viral infection called Polyoma virus. Recurrence of original disease in the transplanted kidney. 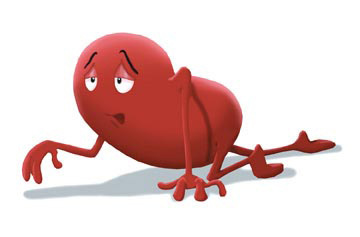 Clearly, for the donor kidney to function well, the urine has to be able to flow out of the body. Sometimes, after transplant surgery, a blockage in urine flow can occur. This may arise as a result of narrowing in the tube that joins the kidney to the bladder called the ureter. The diagnosis of narrowing of the transplant ureter (ureteric stenosis) will usually be made by ultrasound scan of the kidney. 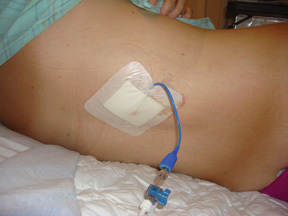 If Transplant Ureteric Stenosis develops, it will usually be treated by inserting a nephrostomy tube into the kidney. A nephrostomy is a drainage tube that is inserted directly into the kidney and allows the urine to drain into a bag. A subsequent operation will usually be required to bypass the blockage in the transplant ureter. It is also possible that the reason the transplant is not draining properly is because a lymphocoele has developed. A lymphocoele is a collection of fluid, which can develop around the transplant and compress the ureter, stopping the urine from flowing properly. If this problem develops it will require a small operation to make this fluid drain internally. In men, enlargement of the prostate gland can affect bladder emptying. This can be treated medically or surgically. Even though Cyclosporine, Rapamune and Prograf allow renal transplants to be successful both these drugs can damage the kidney over time. There is a very fine line between giving you enough medication to prevent rejection and not too much to cause kidney damage. 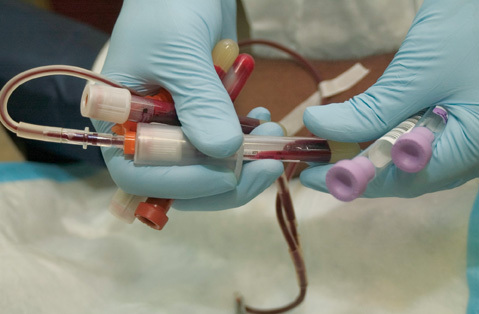 Sometimes this problem can be solved by measuring the drug levels in your blood, but a kidney biopsy may be performed to determine if there is chronic damage to your kidney from medication. Your doctor may recommend changing your medication. Acute (sudden) transplant rejection usually occurs in the first three months, after the transplant, but it can happen at any stage after transplantation. The diagnosis of acute transplant rejection will require a kidney biopsy and the treatment usually involves 3 to 5 cycles of high dose steroids given intravenously. treatment of chronic rejection may involve adjustment of your transplant medicines and the addition of another immunosuppressant Cellcept or Sirolimus. Recently it has become apparent that some kidney transplants fail as a result of the development of an infection called Polyoma Virus. This is a viral infection that only affects transplant patients and can cause slow destruction of the transplanted kidney. If the condition is diagnosed early enough it is possible to reduce the amount of transplant drugs you are taking and allow the infection to clear up before severe damage has occurred in the transplant. Certain diseases, that originally caused kidney disease, may return in the new transplanted kidney causing slow damage to it. The most common disease to return, in new transplants, are FSGS (Focal Segmental Glomerulosclerosis) and MPGN (Membranoproliferative Glomerulonephritis). Even when these diseases do recur after kidney transplantation, they generally only cause very slow deterioration of the transplanted kidney. Some patients develop a narrowing of the transplant artery, where it is stitched onto the blood vessel going to the leg. If this happens it may cause severe high blood pressure and a rise in the creatinine level. This condition will generally be diagnosed by a MRI scan or Angiogram. Transplant artery stenosis can be treated, by a balloon dilation of the narrowed artery and, sometimes, the placement of a metal tube called a stent to keep the artery open. It may occasionally require an operation to remedy the problem. If the kidney transplant shows progressive signs of failing, and nothing can be done to reverse the situation, your doctor will discuss plans for you to go back on dialysis and, indeed, to go back on the kidney transplant pool. If you are a suitable candidate it is sometimes possible to get a subsequent transplant, without having to go back on dialysis. Once again your family can contact the Transplant office to discuss possible live donation.